A highly valued employee at almost 2 years, Nicolas has risen to the occasion at every task that he has acquired. Before graduating from SUNY Cortland in 2015 with a Bachelor’s Degree in Fitness Development, Nicolas was a fitness instructor in their recreation for most of his undergraduate tenure. 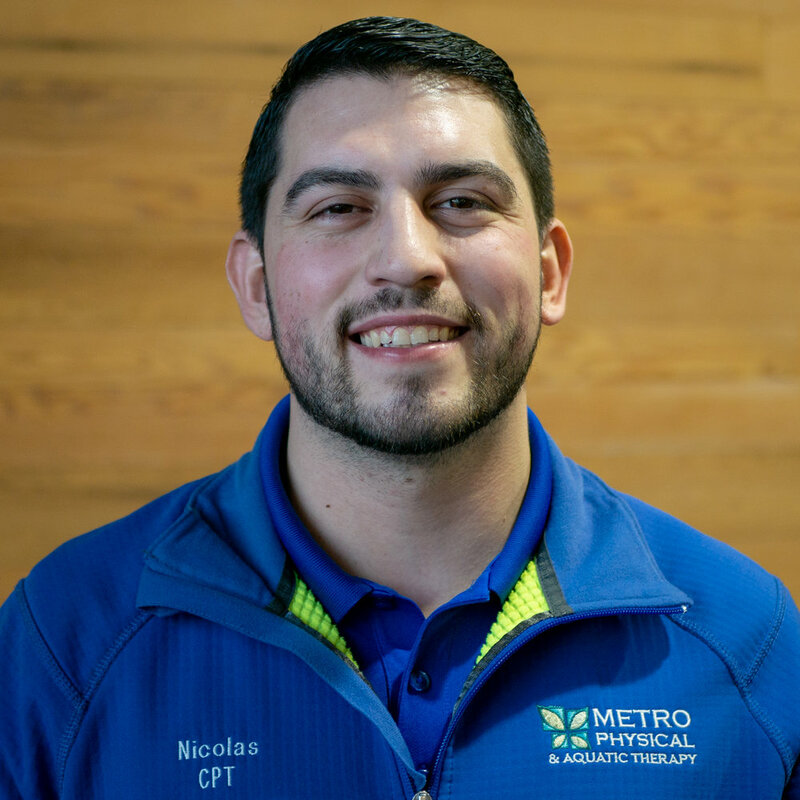 At Metro Wellness, Nicolas has experience with a plethora of clients and situations from his extensive background and working as an assistant to the Physical Therapy staff at Metro Physical Therapy. Nicolas loves to strength train on his own time and teaches a Water Aerobics class as well as a High Intensity Fitness class.